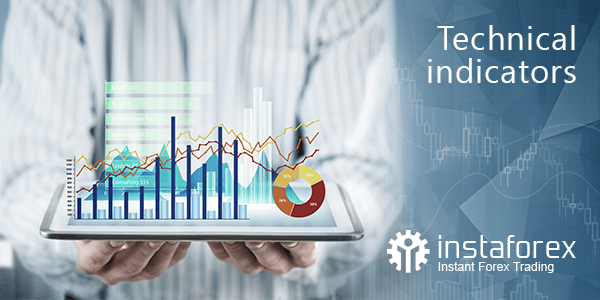 Technical indicators are vital trader’s tools which aim to carry out technical analysis of the financial markets and predict further market moves. Forex indicators are called technical indicators because they mirror only statistical data of markets. They do not track fundamental data of trading instruments like companies’ revenue, earnings, and profit margins. A technical indicator on Forex is based on a value of a trade volume and a price. Analyzing an forex indicator’s dynamic, a trader can determine a short-term price direction or a flat market. Traders, who prefer forex technical analysis, make decisions by means of forex technical indicators on whether to open or close positions. There are several types of technical indicators. Trend indicators analyze price fluctuations of a trading instrument. Using trend forex indicators in trading, it is possible to determine a price direction on various time frames. Moreover, a trader can judge whether a price is trending strongly. Trend forex indicators are versatile tools which are beneficial to any trading strategy. Among trend indicators, there are indicators of trend lines. Having analyzed previous price patterns, a trader tries to extend a trend line in an effort to predict a further price direction. However, such predictions could not come true in practice. Channel indicators are used when trading in price channels. Basically, such indicators are visual representation of support and resistance in any time frame. Using channel indicators, you can set a channel width on your own and select initial data which are needed to plot this indicator. Oscillators are forex indicators which enable traders to earn decent profits in the flat market. Oscillators are helpful to determine new lows and highs on a chart as an oscillator signals when a price will change its direction. Leading indicators foresee future trends before they actually come into being in an economy of a particular country. By means of volatility indicators, analysts judge a profit-making condition on Forex. Pure scalping indicators are rarely used in the market. A trader has to develop a well-rounded scalping strategy for better trading results. Using a single scalping indicator is of little help. A trade volume forex indicator enables a trader to gauge strength or weakness of a market move as it confirms a trend when a price rises or falls. A divergence forex indicator is a signal, which arises in case of disagreement between technical indicators and a price dynamic on the chart. This happens when the indicator does not fix a higher high and lower low. Any divergence forex indicator shows a visible price deviation from the forex indicator’s chart in a trading platform’s window. CSS indicator is designed to measure the strength of currencies relative to each other. Calculation of exact CSS values is based on technical data that allows traders to respond promptly to any market changes. To notice signals for a market entry or exit, indicators are applied to price charts and trade volume charts of financial instruments. Analysis of indicator’s values brings useful information on a further price direction or even a precise forecast of a future price. MetaTrader 4 has built-in forex indicators that trigger almost every basic indicator that is present nowadays. Working with MetaTrader 4 enables you to use all of them when trading. Start working on your technical analysis using MetaTrader terminal!